Matteo Guendouzi seems to understand what it takes to endear himself to the Gunners’ fans. Unai Emery’s men stunned Tottenham with an electric performance and beat their bitter rivals 4-2 after a heroic second-half comeback. Although Guendouzi only came on the pitch with 20 minutes to go, substituting Shkodran Mustafi, he seems to have already understood the importance of the rivalry with Spurs. 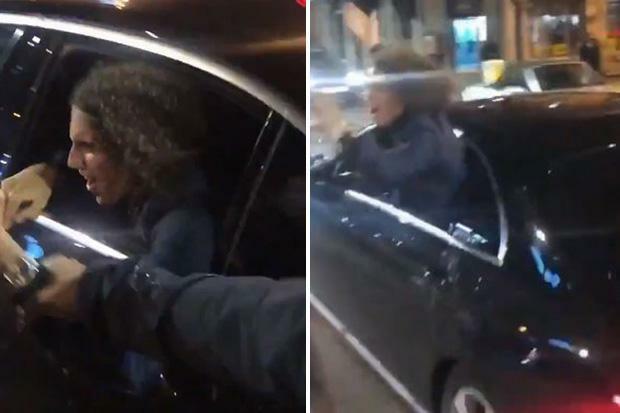 After the match, a video on social media emerged showing the Frenchman stopping his car on a north London street and celebrating the big win with fans. With his window open, Guendouzi gives a bunch of fans celebratory fist bumps seemingly enjoying the encounter. He even touches foreheads with one fan, patting him on the back of his head. As the car is driving away, Guendouzi leans out raising his arms and encouraging the crowd to further celebration. Fans on social media were delighted with one of their newest Gunners. Arsenal legend Ian Wright has also expressed his admiration for the young midfielder in the past.